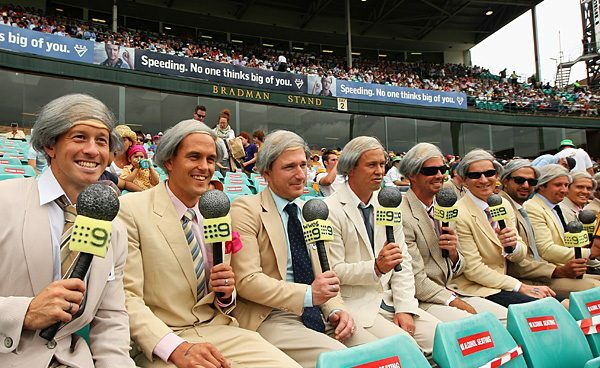 Well if you’ve had an eye on the Cricket this summer, one of the happier memories you would have is the sight of hundreds of fans donning the cream, the bone, the white, the off-white, the ivory & the beige in honour of the late great Richie Benaud. For almost 10 years, Michael Hennessey has been dressing up as everyone’s favourite commentator with a few friends, and its grown from a day out with a few mates, to a nation-wide event. This year, hundreds of men, women and children participated across the Tests in Sydney, Melbourne, Brisbane, Perth, Adelaide and Canberra. Our producer David Bloom had a chat with Michael to see how his little idea sparked a movement.